It’s grey, cold and windy today here in Lancashire. We were very lucky because the worst of the stormy weather missed us here in the north west veering off to the south and east of the UK instead. I do love autumn… but on days like this I long for a little bit of sunshine. Sunny days make me feel happy. 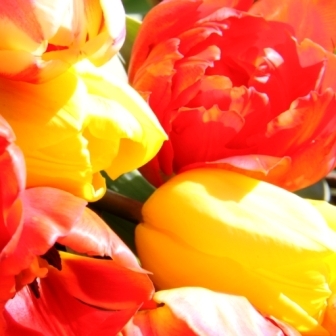 So I’ve been looking at my spring photos and felt particularly drawn to these pictures of orange and yellow tulips. The fresh new foliage on the trees and lime green and orange euphorbias in the background compliment them perfectly. I’ve already chosen pink and white tulip bulbs for my spring display in 2014. How tasteful! What was I thinking about? I may have to nip out and buy a few more bulbs with some lovely bright colours. 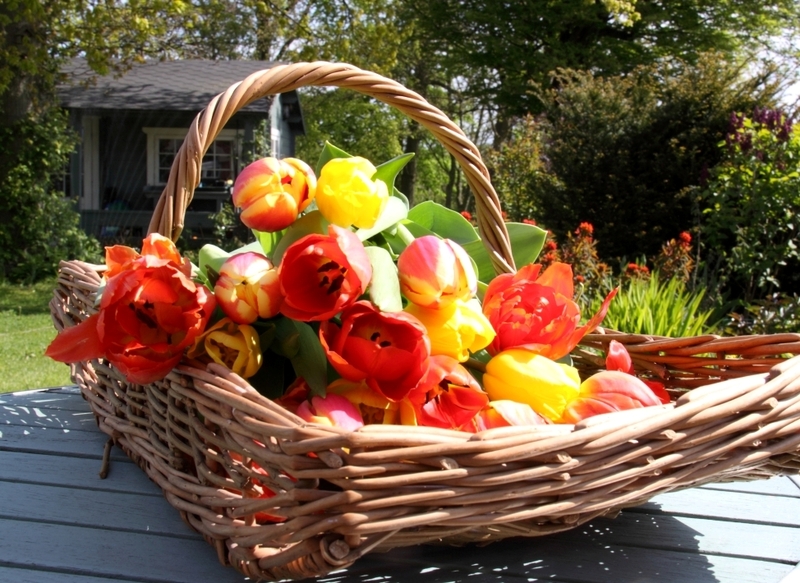 November is the best time to plant Tulips. Now is a good time to choose your favourites. 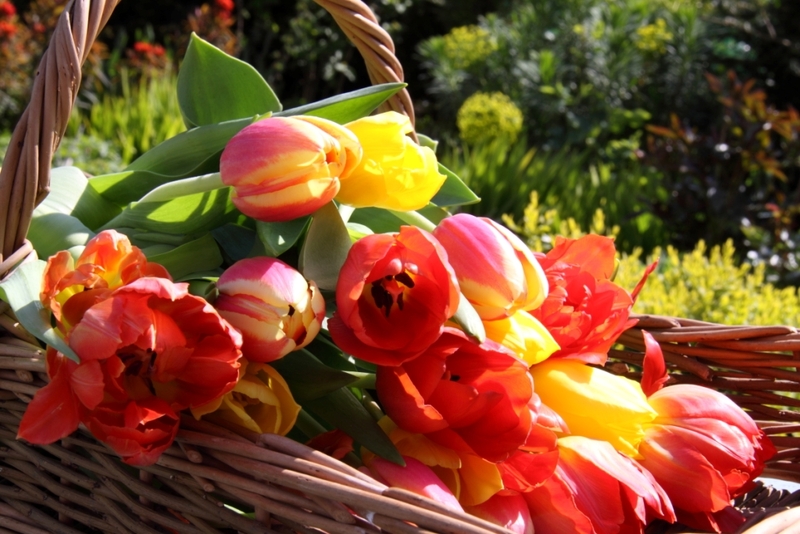 Bulbs are available from good nurseries and garden centres either loose or in packs. Select nice firm bulbs in your favourite colours and be generous when you plant, especially if you want them for cut flowers. 20 or 30 in a group is about right. I’ve found that I need to plant the bulbs much deeper than most gardening books suggest. They say plant twice the depth of the bulb… I prefer to plant three or four times as deep. We have all sorts of wild creatures in our garden but I’m fairly sure that squirrels are responsible for the stash of conkers and acorns buried in my patio pots and flower borders so it’s likely that they enjoy a nibble on a tulip bulb now and again. They don’t disturb my deeply planted bulbs so I’m sticking to that method for now.